Following on from last weeks ‘The rise in gaming addiction’, this post aims to identify – What makes video games so addictive (and which games are the most addictive)? along with the emotional and physical symptoms caused. Researchers at Hammersmith Hospital in London conducted a study in 2005 which found that dopamine levels in players’ brains doubled while they were playing. ‘Dopamine is a mood-regulating hormone associated with feelings of pleasure. 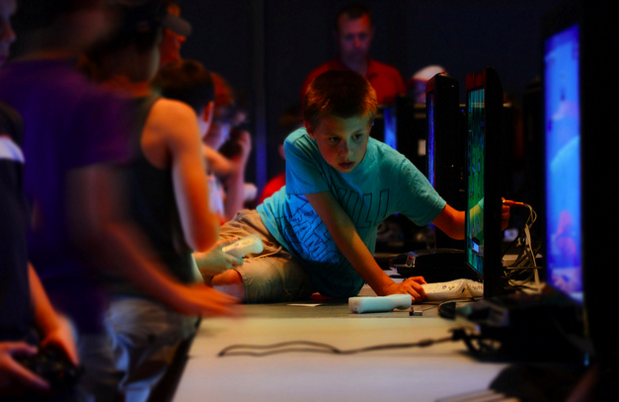 The findings of this study indicate that gaming could actually be chemically addictive’. There are many theories and explanations as to why video games may be addictive, and this is down to a variety of reasons, Dr. Julia Frank explains that the pleasure part of our brain is always subjected to environmental conditioning, so if you do something and enjoy it, you are much more likely to do it again. Video games tend to be intrinsically rewarding, the bright lights and colours are very appealing and tend to arouse anxiety and suppress it. This is a pleasurable feeling that is mostly felt when a gamer is ‘winning’, resulting in the desire for the reward actually taking over the desire to do other things, this causes an ‘addiction’. Different types of video gaming addiction? To put it simply, two major types of video games are recognised therefore resulting in two severe addictions. On the one hand games such as Assassins creed and Fallout are standard video games designed to be played solo, these games always involve a clear mission or goal. Once completed, a new mission is then set, this often results in continuous game play to ‘beat a high score’ and can result in addiction. The second is video games involving multiplayer. These games can be played with a number of other players who can socialise, work together, or compete head to head to complete missions. Multiplayer games tend to be the most addictive as the games generally do not include a fixed ending. This type of addiction for gamers tends to be very enjoyable and creative, experiencing an online persona. This causes gamers to quite often build relationships with other online players as an escape from reality, and for many, this online reality is where they feel most accepted. These games are also known as MMORPG (Massively multiplayer online role-playing games) or MMO (massively multiplayer online game). In MMO games, players typically create their own characters, join other players online to form committed teams and develop their character’s skills by completing certain tasks or quests in a fantasy world which is largely shaped by the players. The worlds continue to evolve even when the player is offline. The most addictive video games have no pre-defined ends. Addictive video games do not reward short and unscheduled periods of play. Top video game players or teams can earn real world rewards. SO WHAT MAKES A GAME ADDICTIVE? THE MOST ADDICTIVE GAMES HAVE NO PRE-DEFINED ENDS- This is one of the biggest attributes to an MMORPG game, the most addictive video games do not include an ultimate goal for the gamer or an actual ‘Game Over’. This is so the players continue as there is always more to discover. COMPANIES REGULARLY RELEASE UPGRADES OR EXPANSION PACKS- Even when gamers start becoming bored, expansion packs are available to add new abilities, tasks, and areas to explore. THE HIGH SCORE- A high score is one of the most easily recognisable features used to make a game addictive, trying to beat a high score can keep a gamer occupied for hours. DISCOVERY- Exploration is popular as a number of games are spent exploring imaginary worlds. The thrill of discovery can be compelling. Especially in games such as World Of Warcraft. ROLE PLAYING- Allowing the creation of characters can cause an attachment with the creator, and can even result in emotional attachment making it a lot harder to stop playing. Click HERE to read a number of other reasons as to why games become addictive. 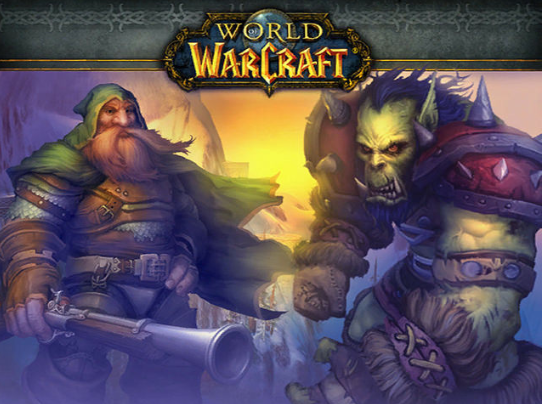 World of Warcraft- The most played video game, every day in Azeroth there are 3.6 million pet battles and there is enough in-game text in WoW to write 12 copies of The Lord of the Rings, according to Blizzard Entertainment. WoW has been played by over 100 million people in 244 countries and territories. Call Of Duty- Like WoW, Call of Duty has been experienced by over 100 million players in multiple countries. With 25 billion hours (2.85 million years) of total gameplay, people have played Call of Duty for longer than the course of human existence. During that time, players have fired over 32.3 quadrillion shots, according to IGN. An interesting aspect of the stories above is the terminology used by the authors themselves. In the first story, it is titled ‘Around 4 years sober’. The use of the word sober holds a strong dynamic, making the reader automatically link this with either alcohol or drug abuse, connotating the idea that a gaming addiction is just as bad as any other addiction. Throughout both short stories, words such as ‘suffering’, ‘screaming’, and ‘neglecting’ are used. This really reflects a sense of struggle and pain upon the reader, encouraging a sense of sympathy towards the authors. Overall it is fascinating that game ‘addicts’ themselves use words such as ‘sober’ to refer to themselves, foreshadowing that the individuals recognise their own gaming addiction as a serious matter. Knowing how to recognise these signs can be helpful to keeping yourself and others out of addiction, According to the Illinois Institute for Addiction Recovery, these symptoms can be both emotional and physical. Thank you for reading! See you on my next blog post about the suggested link between violence and video games! Remember to share and subscribe!